The Subaru BRZ media fest continues with the reveal of the BRZ STI Concept ahead of its LA Auto Show debut. Looking remarkably similar to the Scion FR-S concept it does have a more production-ready finish, with modest wheels (215/45/18 tires up front and 225/45/18 in the rear) and a believable rear diffuser. Compared to leaked photos of the FT-86, there are unique fender vents and it’s hard to miss the massive rear spoiler. 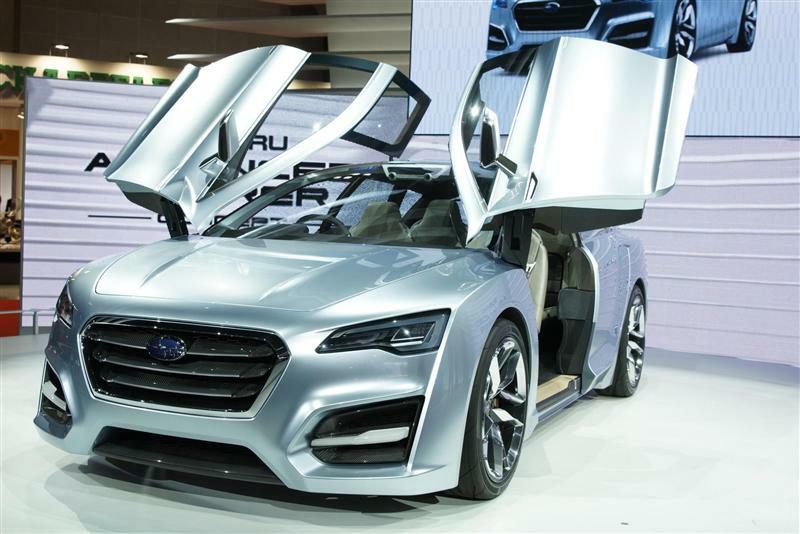 While just the one rear-angle photo has been released Subaru promises the front end design gets a hexagonal front grille and hawk eye headlights, instantly distinguishing it as a Subie. And in true Subaru fashion it gets a version of the company’s trademark WR blue paint, called WR Blue Pearl II. One area that isn’t painted is the roof, with an exposed carbon fiber weave that further reduced the car’s already impressive center of gravity. Rather than the turbocharged engine many are expecting, this STI makes use of the same naturally aspirated 2.0-liter boxer 4-cylinder with direct-injection, which on the FT-86/FR-S is touted to deliver 197-hp. To give an idea of just how incredible a handling machine this is, Subaru says that compared to other cars in its lineup the engine is located 4.7-inches lower to the ground and 9.4-inches closer to the center of the chassis. Subaru has never been afraid to “zig” when the competition “zags.” Many things about Subaru are, well, different. With their “boxer” horizontally-opposed engines, standard all-wheel drive, and lineup of station wagons, they don’t have a history of just copying the competition. 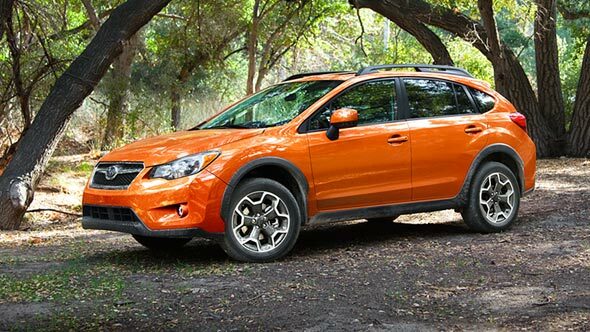 This is why it was not such a shock when Subaru first announced their new and improved Impreza with a smaller and less powerful engine, while most manufacturers boast about having more power with each redesign. Another place where Subaru has bucked current trends is actually making the new car better. Sounds strange, but as we’ve seen lately from Honda and Volkswagen, some new models don’t quite measure up to the outgoing designs in terms of fit and finish or handling. Compared to the 2011 Impreza, the 2012 has a nicer interior with soft-touch padding on the dashboard and doors. And while the new model is roomier and boasts better fuel economy, handling actually feels more responsive than the outgoing model. Plus, the excellent ride has been retained. As for the turbocharged WRX and WRX STi, they will remain on the older platform for a few more years. First impressions are positive, but we will have to wait until the Impreza goes on sale in November to purchase one for our test program. I have a feeling that is will be a favorite around our Connecticut test facility when the snow comes!